I’ve returned to work on a memoir about my mother and my paternal grandmother. My mother was given up at birth — she was born on Cape Breton Island — and put into a foster home where she lived until adulthood. She kept the surname of her biological father, MacDonald, and she knew the surname name of her biological mother, McDougall. But everything else is a mystery. She insisted she never wanted to know about her birth parents because she felt she’d been abandoned and any loyalty she felt was directed to her foster mother and sister. But when she died in 2010, I felt compelled to try to find something about her origins. I have some papers but nothing leads to me to anything like a source. Vital Statistics in Halifax, where she was raised, have told me that I have no right to a copy of her birth certificate (which she knew about and which she said included the names of both her parents) until 100 years after her birth — that will be February 8, 2026. I’ve posted queries on genealogy websites in Nova Scotia and I’ve tried a few other things as well. But so far, nothing. The paperweight John gave me when I was first musing about my mother and everything I didn’t know about her background sits on my desk, to the left of my computer. Most days I pick it up, look at it, use it to hold down bits of paper or file cards. This morning I looked into it, wondering if family secrets can ever be truly solved or understood. I have a renewed interest in pursuing my mother’s mysterious story, the sensitive tentacle of her connection to Cape Breton Island and further back, Scotland. ~ by theresakishkan on April 21, 2013. 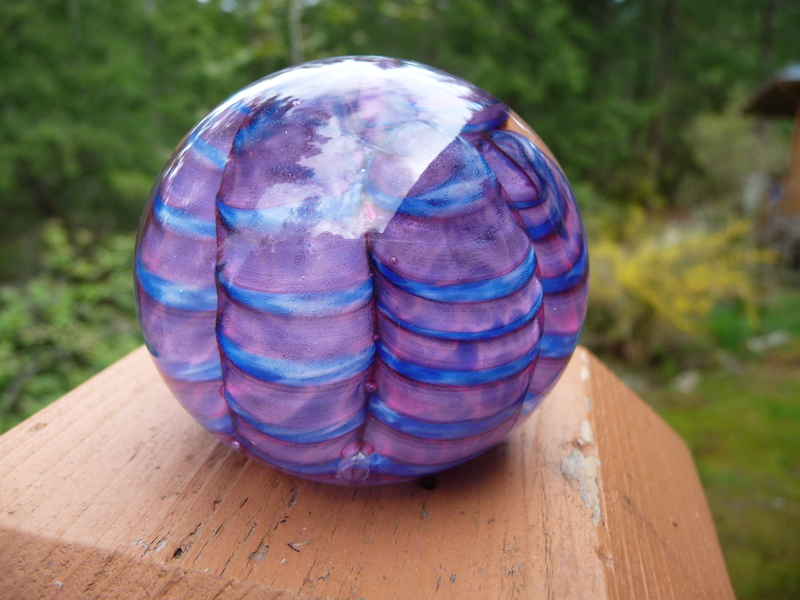 Beautiful paperweight. I’d heard about it from John (when he was in Toronto and found it) and read about it in Phantom Limb and now I get to see it! 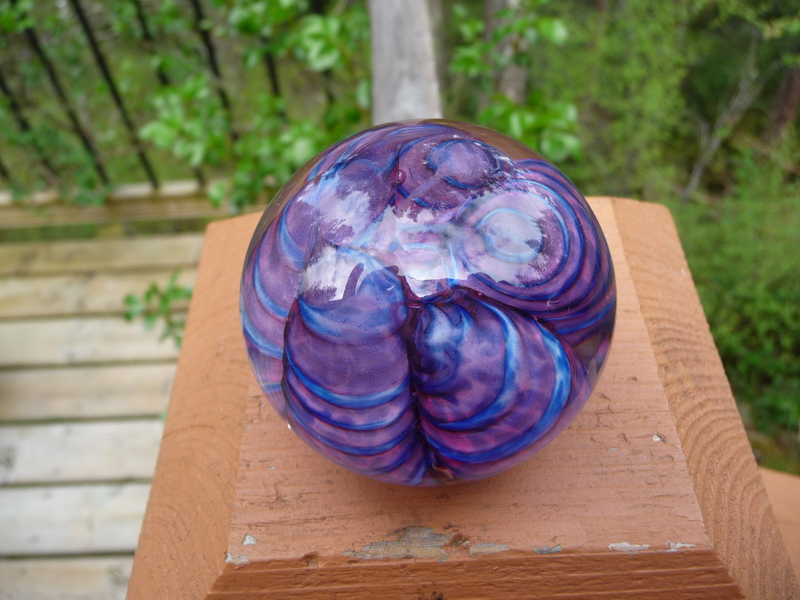 I love paperweights generally and this one is a treasure. I’m a great lover of all things glass. Love to hold a paperweight in my hand and look deeply into it. Yes, satisfying. Remember marbles? The clear ones? This entry was posted on April 21, 2013 at 6:25 pm and is filed under Uncategorized.You can follow any responses to this entry through the RSS 2.0 feed.You can leave a response, or trackback from your own site.